I had to see what all the rave was about regarding La La Land. I went to see it, and I can't get the song "City of Stars" out of my head. If you are a fan of romance, jazz, Emma or Ryan, musicals, or movie nostalgia, go see this move. It's also a movie for dreamers, if you have a dream in your heart that you know can come true there's meaning in this for you. I am not a huge fan of musicals except for those everyone knows, like Grease, Hair Spray, High School Musial, etc. but this made me like musicals again. Not too much music, in fact I would have been happy with more. The opening sequence of this movie set the tone. This is a spoiler right now. I was mesmerized by the drivers dancing on top of and besides cars on a California highway. If that is how the movie opened and there was something better to come, then they set the bar high. And it did not disappoint. Upon seeing the movie for the third time, you will get a new appreciation for the choreography in each musical scene, as well as the nostalgic touches in the "Lovely Night" scene. 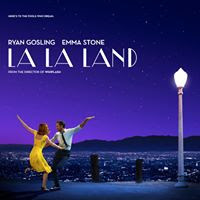 Emma and Ryan really carried this movie, they were the leading man and woman, playing characters Mia and Sebastian, and everyone else was just dressing though a few familiar faces like J. K Simmons and John Legend and new ones lending their talent all contributed to the seamless plot of this story. Emma sang and danced with Ryan, oh, how we don't see a couple dancing like this in movies anymore. So nice to see again. Ryan played the handsome leading man, strong but struggling, changing his life for the love of a woman. In this century, Emma played the ambitious career woman, who actually did not change her plans for him but rather pushed ahead more because of the words and confidence he gave her. One could not help notice the cinematography, and the color choices stood out. As the movie was an homage to the old black and whites, using vivid colors throughout the movie and especially in wardrobe was an astounding choice. One thing that really stood out to me was the use of the dusk/dawn colors in the sky, not only did it make the sky more beautiful but added to the fantasy of it all. If you've watched old movies that were colorized, you will catch the similarities. Another thing noticed is the perfection of each frame. It's as if they sat and made almost every scene the equivalent of a picture you would hang on a wall or a photo. There was a large use of symmetry, and it worked. I heard that Ryan learned how to play the piano for this movie. I can see what he was playing and when someone else (possibly) stepped in, and that is fine, as his character was an incredibly talented musician so difficult pieces were needed. 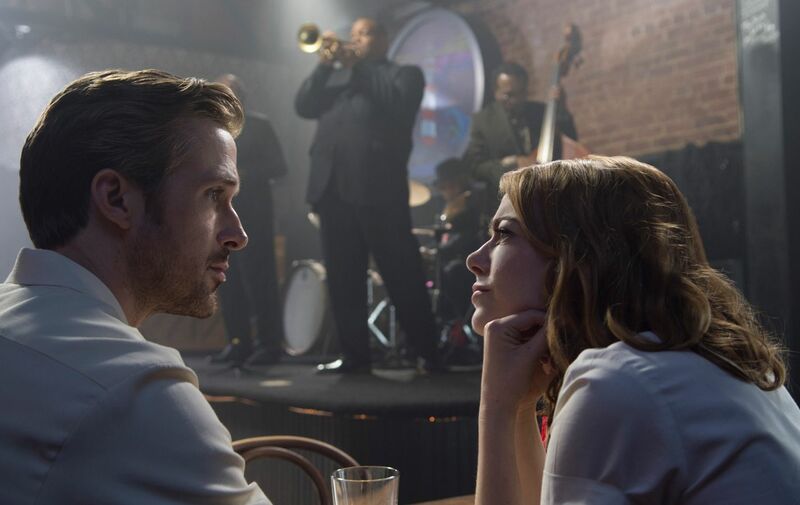 Using jazz as the genre, such a uniquely American form of music again was a great choice for a movie about the quintissential dream of many Americans making it in Hollywood. The bonus in the movie is all the jazz tracks, a little bit of 80's thrown in there and how ironic and so unplanned but a shout out to the late George Michael. I even liked the Messengers. John Legend was perfectly cast as the head of an up and coming pop jazz band. "You got to be the innovator, " he said. The planetarium sequence was a joy to watch, up in the sky, two people falling in love, it was the definition of romance itself. I could watch that over and over again. Playing on the meaning of "stars" was well-played. The pool scene was an explosion of color and activity. Both strayed off the main plot of the story but related to it in such a way that you almost wanted the diversion to last a little longer. In each of the musical scenes, one was brought back to the plot and back to reality in a very clever or understandable way. Self-reflectively filmed on the Warner Brothers lot was a treat, and an irony, as that studio holds so much Hollwood history. Using the lights of Hollywood, traffic, the pier, old movie houses, basement clubs - all seemed well-thought out and with a purpose. Suggestion: If you're in California, the Warner Brothers Studio tour is the best studio tour there. When I went, they did not talk about where #lalaland was shot, but you can see many of the tour stops from the tour in the movie. Happily Ever After. Again, here is a spoiler. I just watched what was unfolding in front of me in disbelief, then I breathed a sigh of relief when I saw an alternative universe unfolding in Emma's head as she sat at the jazz club. Could it be? I won't spoil the ending but of course, I would have liked it to end differently. But, it was a dream I cannot make true. Bittersweet, a friend told me, but the tears were coming. I am still getting used to how it ended, but it was, overall, a happy ending. This movie is a delight for the eyes and ears. The combination of a good story, wonderful acting, enticing cinematography, excellent music and a resolved ending should satisfy any fan of romance, and leave them wanting more.